The question of ethics is prominent in the area of online advertising. Pop-ups, overlay ads and lies being made to sell a product are questionable practises that can affect the brand. 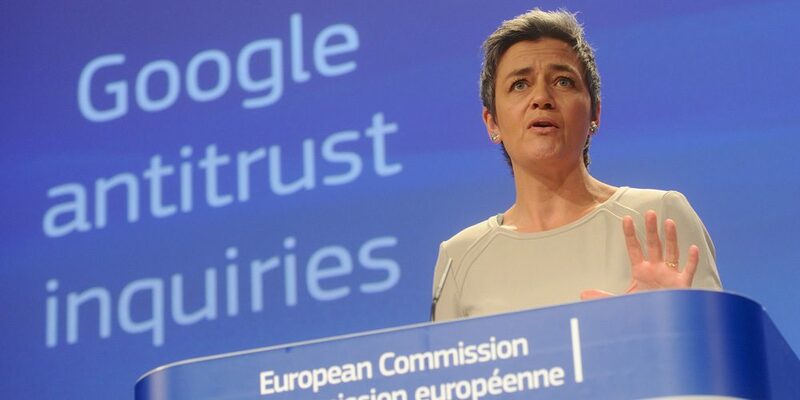 Likewise, practises that discourage competition are another ethical issue that can hurt a company as can be seen with a recent move undertaken by Margarethe Vestager, the EU Competition Commissioner against Google. The Commissioner set out to charge google more than €2.7bln euro as a penalty for manipulating information regarding search results to make its shopping service look more popular. This move comes after complaints from rival companies triggered an investigation that lasted 7 years. This fine was a long-time coming as the company was accused of favouring itself in search results in April 2015. This distortion of data had a negative effect on customers and Google’s rivals. The Commission found that this was due to Google Shopping being at the top of search results while competitor services could only be found on page 4. As a result, it was ruled that the company was abusing its market dominance. This gave the company an advantage over other competitors as Google was favoured in search results while others were demoted. Google tried to settle this case 3 times with the previous commissioner Joaquin Almunia. However, the company was unsuccessful as Vestager was not willing to settle with the company. Evidence presented by the commission included Google’s promotion of its own shopping service increasing while there was a decline of traffic to competitors. This decline reached up to 92% according to an investigation that looked at 1.7 billion searches. Further fines are expected, each increasing by 5% in accordance to Alphabet’s turnover should Google fail to stop demoting other services within a 90 day timeline. The company can also be subject to civil claims by competitors who suffered damage due to lost revenue. Google rejected these charges. It points out that regulators did not pay attention to other retailers like Amazon and eBay during their initial assessment. According to a blog post by the company, both eBay and Amazon are responsible for the decline in traffic to competitors. As a result, it is likely that Google will try to appeal the fine. In this case, the likelihood of any resolution to the problem is very low as well as there being very little chance of investigations into the search giant ending as the commissions have also launched two further investigations into the company. One is looking into android manufacturers being forced to favour apps made by Google and the other looks at whether or not Google uses its dominance as a way to inhibit advertisers’ from buying from other advertising networks. It is unknown was these investigations will yield or what will happen if Google tries to appeal the decision. One thing that is certain is that the fine is likely to have a large impact. It is expected that tensions will heighten between the United States and Europe due to the commission forcing other companies like Facebook and Apple to pay large fines, which resulted in claims of the commission being biased against American companies.